When my husband asked me how I was going to prepare my wings for dinner, he requested not to do the same old boring buffalo wings. In fact, he was looking online at the local Wingstop menu to look for other flavors. Just when I was looking through my spice drawer, he comes up to suggest lemon pepper seasoning. Great minds think alike I guess! To prepare, I seasoned the chicken with lemon pepper, garlic powder, onion powder and salt. To give the chicken a nice crisp coating, I use cornstarch. I find that it gives a lighter, crisper coating that regular all purpose flour. All the seasoning and cornstarch is put in a ziplock bag with the chicken and shaken or tossed until fully coated. I let it chill for at least 30 minutes to allow the cornstarch to absorb any moisture from the chicken. That gives me enough time to heat up the oil for frying. When you're ready, just fry them up and serve hot! Combine the chicken, spices and cornstarch in a ziploc bag and seal. Toss the chicken in the bag to fully coat with spices and cornstarch. Chill the chicken in the bag for at least 30 minutes. Meanwhile, preheat oven to 250 degrees and heat oil in a dutch oven or fryer to 350-375 degrees. After 30 minutes of chilling, remove chicken from the bag and fry in the hot oil. Fry the chicken in batches until browned and fully cooked, making sure juices are clear. While frying in batches, place browned chicken on a baking sheet and keep warm in the preheated oven. Serve chicken hot or warm. This reminds me of the lemon pepper wings I used to get at the bar right next to my dorm in college! Aaahhh memories! I'll be making these next week! Great recipe. 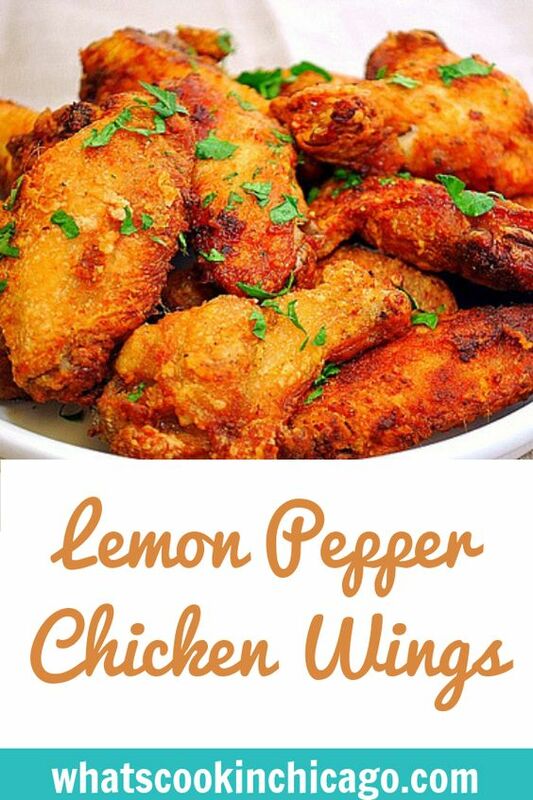 My family likes lemon pepper chicken wings from a local family restaurant in our area but your recipe is worth trying at home. Thank you for sharing. Going to try your recipe at home for next week dish! Thank You for sharing! 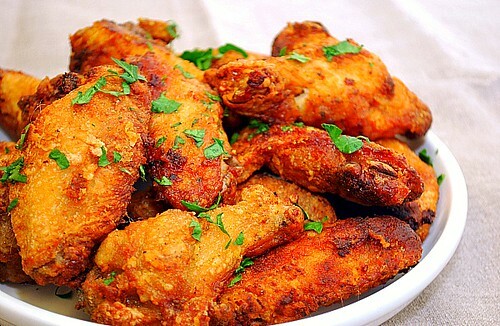 These Chicken Wings are great for any occasion. They are even better when grilled up with all that extra smoky flavor.